Exterior design is an aspect that has to be given a great deal of thought, since it will define your home’s appearance for years to come. The following tips relate specifically to exterior architectural remodeling ideas considered to be the most popular this year. Most experts in exterior architectural design are focusing primarily on siding and the various colors and unique designs that new siding materials can offer. Darker hues and contrasting colors are primarily under the spotlight, as dark gray, brown and even black are making a comeback, along with designs that are based on finishes capable to resist fading. These dark hues are often mixed with bright white trims to highlight specific areas of the building. Multiple textures are also considered to be one of the most popular emerging new trends in 2017. Accent areas like porches and gables are commonly adorned with more than one type of siding, as well as other unique decoration items and paintwork designed to turn your home into a true work of art. 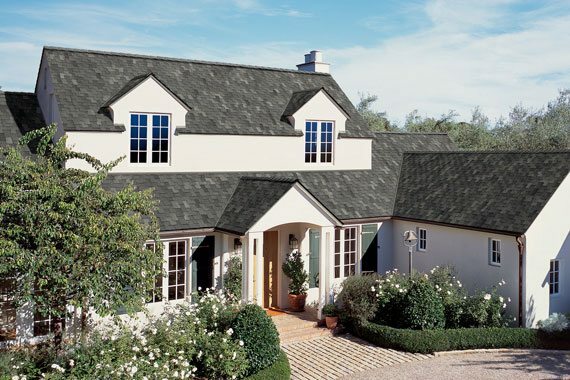 Roofing styles are also becoming transformed, as homeowners no longer go for traditional appearance or outdated materials. Cedar shakes, unique concrete tiles or composite shingles are used quite often as part of original roofing designs that are meant to stand out. For roofing material expertise look to a certified and licensed Dallas roofing company near you. Simply by looking for a more unique style and combination of materials for your roof and siding you can create your own original architectural designs that will never fail to impress your neighbors and visitors.